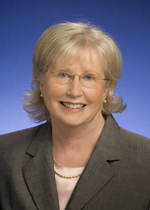 Courtesy of State Sen. Mae BeaversLast month, Tennessee state Sen. Mae Beavers introduced SB 1091, a bill that would require presidential candidates to present a long-form birth certificate in order to qualify for the ballot in the Volunteer State. Beavers, a Republican, is in good company: Nearly a dozen states have now introduced similar legislation—part of national campaign mounted by the birthers, those conservatives who believe that President Barack Obama was not born in the United States. To date they haven’t had much luck; a bill proposed in Arizona looked the most promising but was scuttled in committee; on Wednesday, New Hampshire GOPers knocked down a similar proposal. MB: Now, you’re asking me to get into a lot of things that I haven’t really looked into yet. Beavers did not respond to multiple requests for comment.